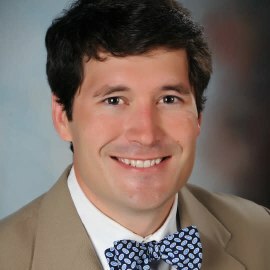 Dr. Southerland currently serve as Associate Professor of Neurology and Public Health Sciences at the University of Virginia. My research interests include the genetics of cervical artery dissection and other non-atherosclerotic vasculopathies, novel applications in telestroke and prehospital stroke care, and the management of acute ischemic stroke. As a clinician educator, he serves as the UVA Neurology Residency Program Director and Associate Director of the UVA Vascular Neurology Fellowship. Among his roles with the AHA/ASA, Dr. Southerland serves on the Telestroke Committee for the Stroke Council, the planning committee for the 2019 International Stroke Conference, and was a member of the Guideline Writing Committee for the 2018 Update on the Management of Acute Ischemic Stroke. At the local level, Dr. Southerland enjoys volunteering with the Thomas Jefferson EMS Council and as Auction Committee Chair for the Charlottesville Heart and Stroke Ball.